Atiny Peruvian woman wakens long before the 5 a.m. sunrise, tiptoeing around her family’s darkened hut to get dressed. She opens the door and twilight creeps in, clinging to her kaleidoscopic ensemble: a vibrant pink, ankle-length skirt and a loud yellow cardigan embroidered with flowers and zigzags. She defers donning her straw hat until later, leaving her sun-scarred nose and cheeks exposed. As she steps outside, Dora Jallahui Vilca’s feet sink slightly into the dewy ground, the hewn reeds bending with her weight. Like the tens of thousands of residents — ancient and modern — who have been born, lived and died over the centuries on this man-made island, she gives little thought to the lake beneath her feet. She’s met by a brisk wind that blows across the waters surrounding her basketball court-sized island. The sound of frigid, blue waves lapping against the island’s edge is faintly audible. Suddenly the ground ripples beneath her like a 7.0-magnitude earthquake — but no one stirs inside her hut, nor is Dora concerned. Such swaying occurs every time a boat speeds by. It’s just what happens when the place they call home literally floats on water. 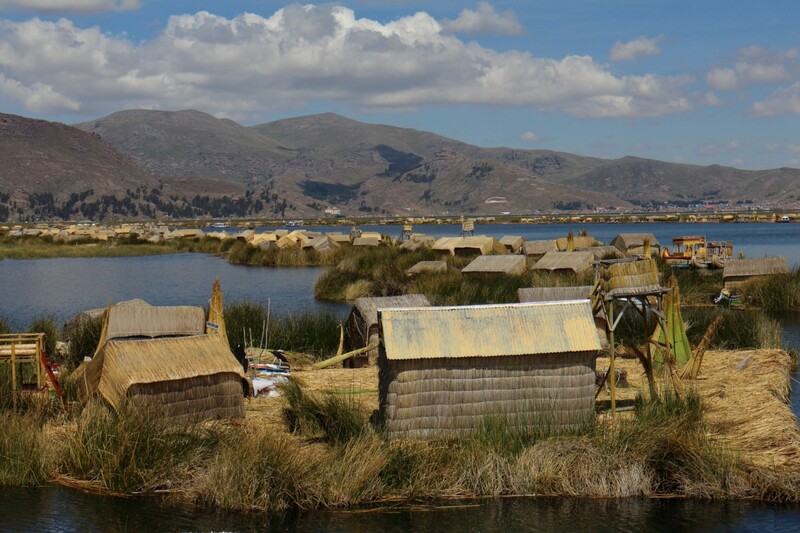 Dora’s hut sits on one of 87 Uros Islands bobbing on the surface of Lake Titicaca in southern Peru. 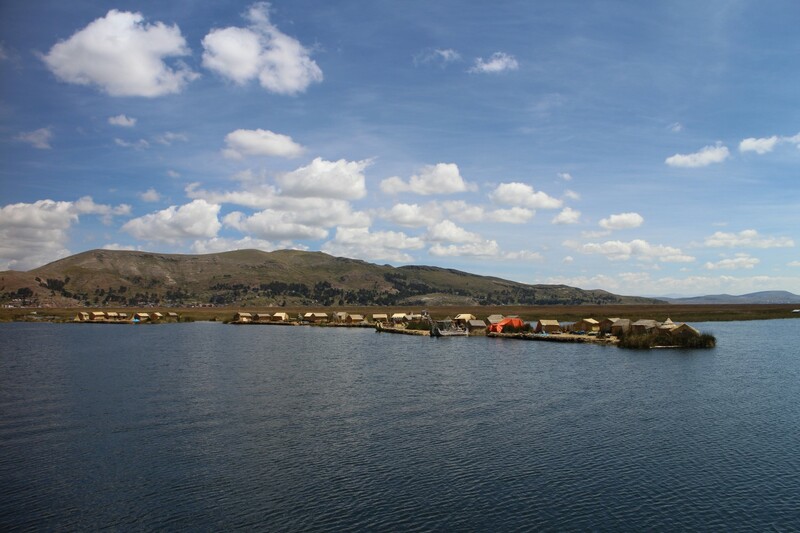 But as picturesque as living on the islands sounds, many Uros people are relocating to terra firma. Life without most modern conveniences is the reality for those who remain. Composed entirely of reeds bundled four meters thick, the islands contain no soil, nixing the daily routine that land-loving peers take for granted: planting crops and ground water filtration. 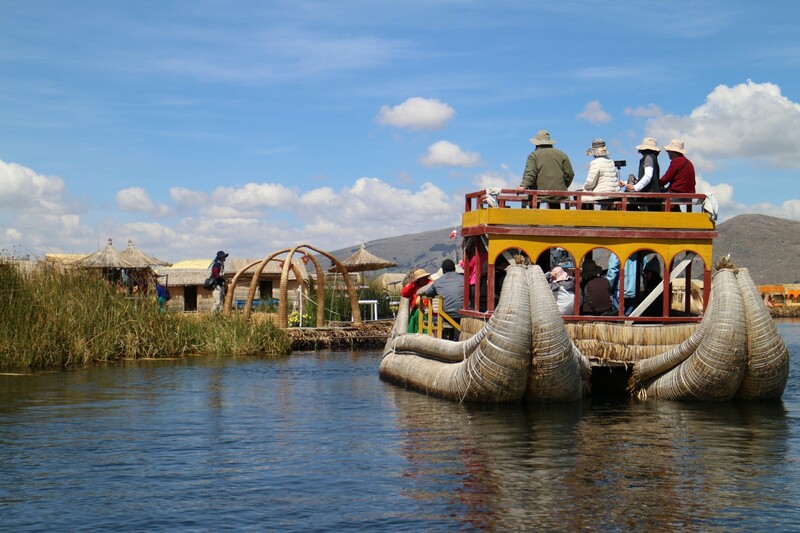 Consuming the water they float on leaves the Uros susceptible to waterborne parasites which are at the least bothersome for adults, and at worst, deadly for children. Dora and her family used to treat themselves for parasites every three months, yet it was her frail, premature son who worried her most. His preexisting conditions, exacerbated by parasites, led to constant hospital trips. “We would always pray that our lives would improve, and I believe God heard our prayers,” Dora said. 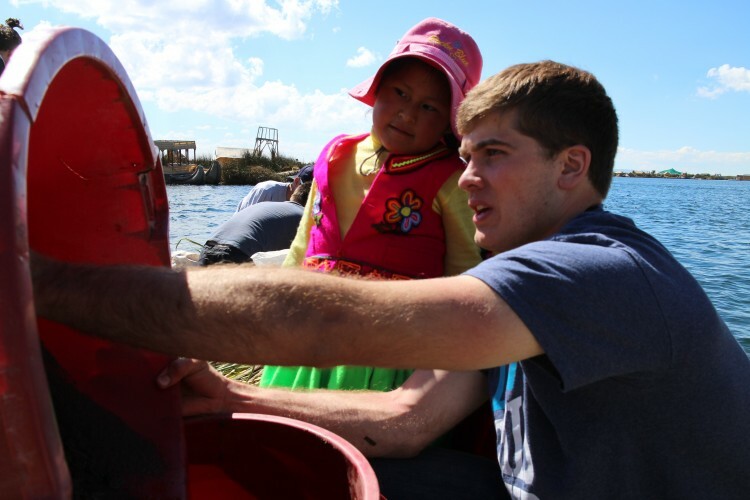 That answer came in the form of an unlikely bond that began to form between the Uros and BYU engineering professor Randy Lewis, who arrived on the islands with his first set of students seven years ago. The sandy-haired, chemical engineering department chair — armed with a Ph.D. from MIT — doesn’t speak Spanish, but he does have a deep humanitarian track record. 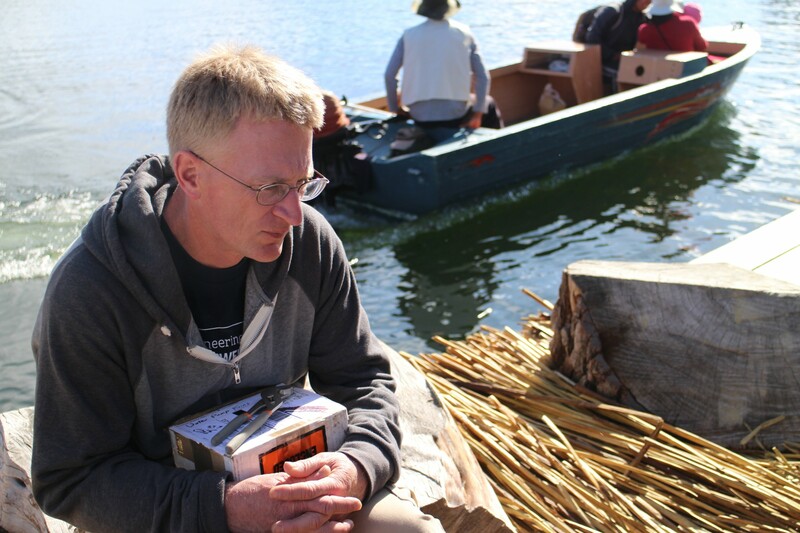 His expertise in sustainable energy and biomaterials has helped those on the Uros Islands by providing them access to everything from solar ovens to water pumps. 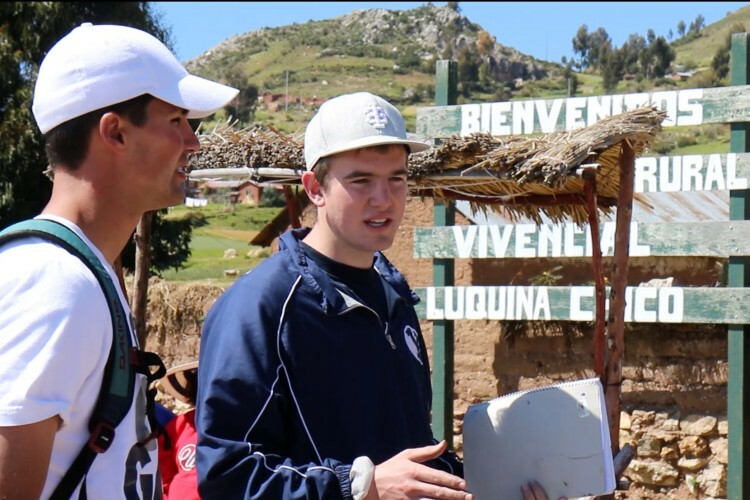 But BYU’s water filtration project, which started three years ago, has had the most profound impact. 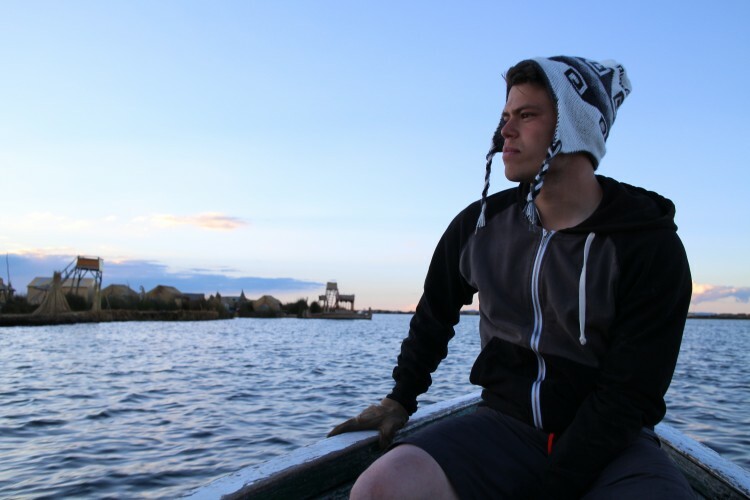 The Uros who have chosen to remain on the islands hope, with a little help from humanitarian projects like BYU’s, they can persuade family and friends to return home, or at least keep others from moving away. Like their ancestors, they hope their ancient culture — which has already lasted thousands of years — will continue to survive. 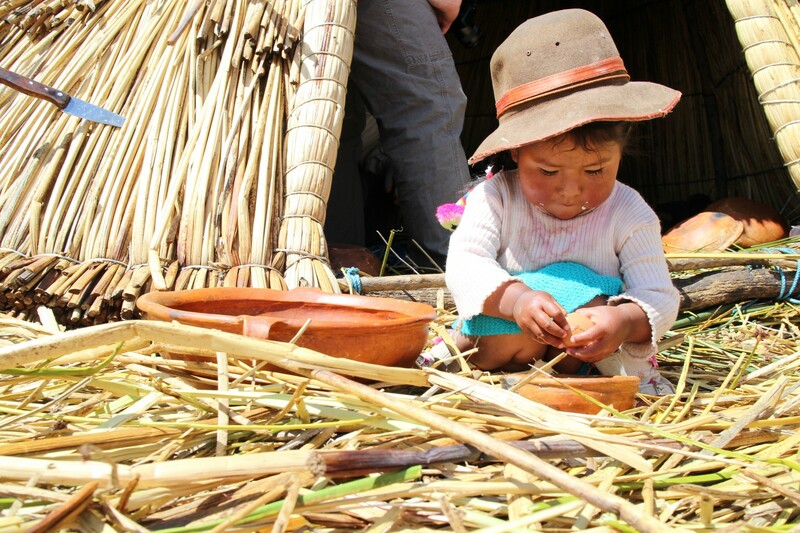 The Uros Islands are home to a people who pre-date the inhabitants of Machu Picchu. 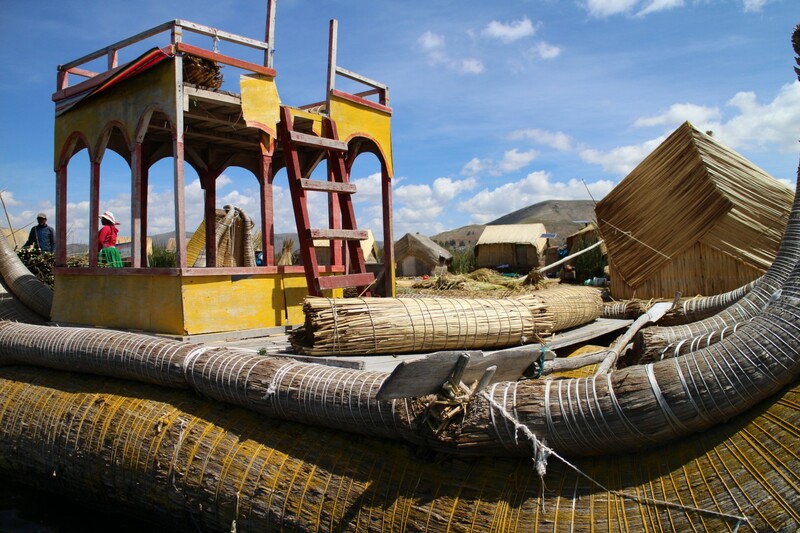 A study done as part of National Geographic’s Genographic Project suggests the Uros are descendants of the original Altiplano settlers, who arrived some 3,700 years ago. 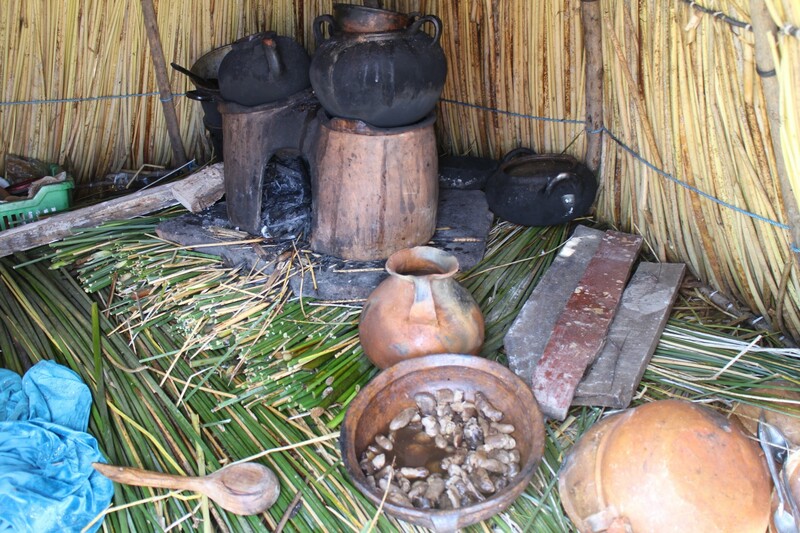 This pre-Incan people originally built the islands as a mechanism to defend themselves against mainlanders. They could push off the shore and float to safety within the 3,200-square-mile lake that borders both Peru and Bolivia. Anchors made of rocks and rope would hold them in place. 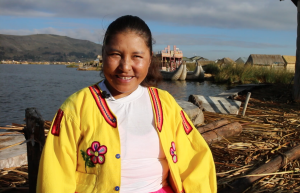 Threats from the mainland disappeared long ago, altering the Uros’ culture dramatically. In recent decades, tourism has become their economic mainstay. Today, souvenir shops, tour boats and inns pepper the landscape. 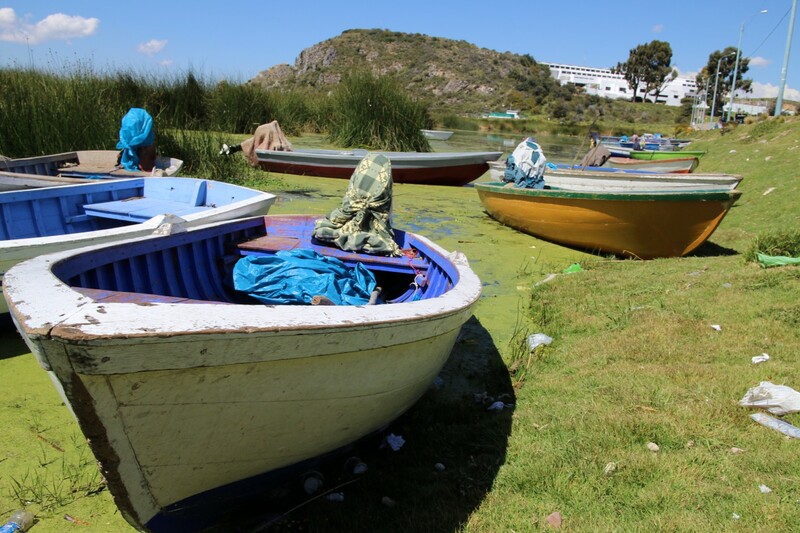 The coastal town of Puno may offer easier access to clean water, warmth and electricity, but the islands’ lucrative tourism business is too much to give up for those who have relocated. They return every other day to set up shop, feigning to live the way they did before. Tourist boats even have an agreement to bring visitors to half the islands on one day of the week, and to the other half, the next. 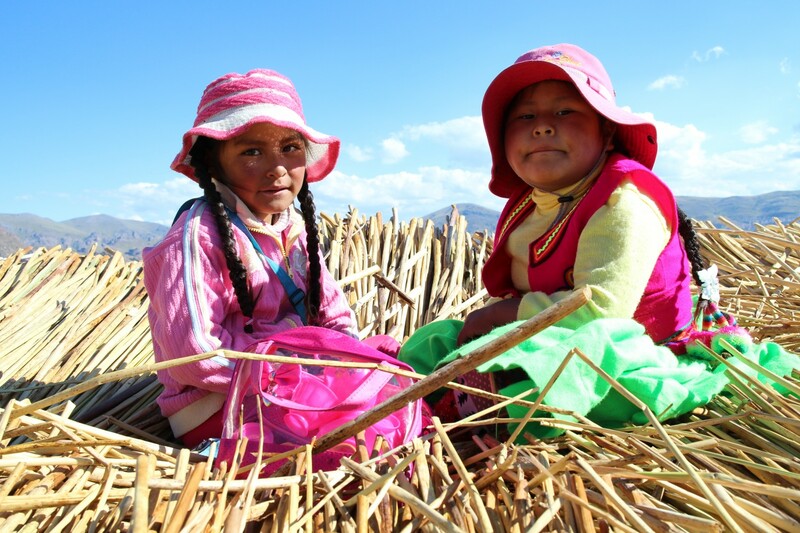 Dora’s father-in-law, Bernabé Coila Quispe, estimates that 800 of the 1,000 Uros actually live in Puno. 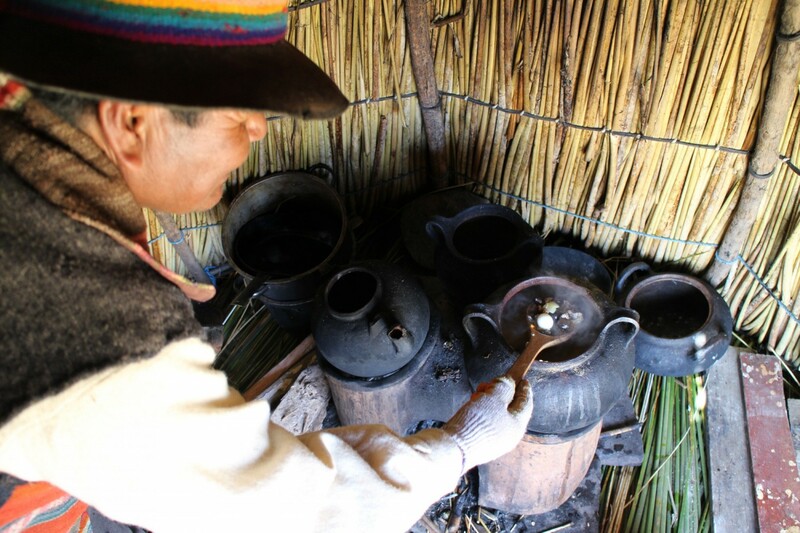 The remaining 200 Uros continue to live their lives much the same way their ancient ancestors did, with a few exceptions. 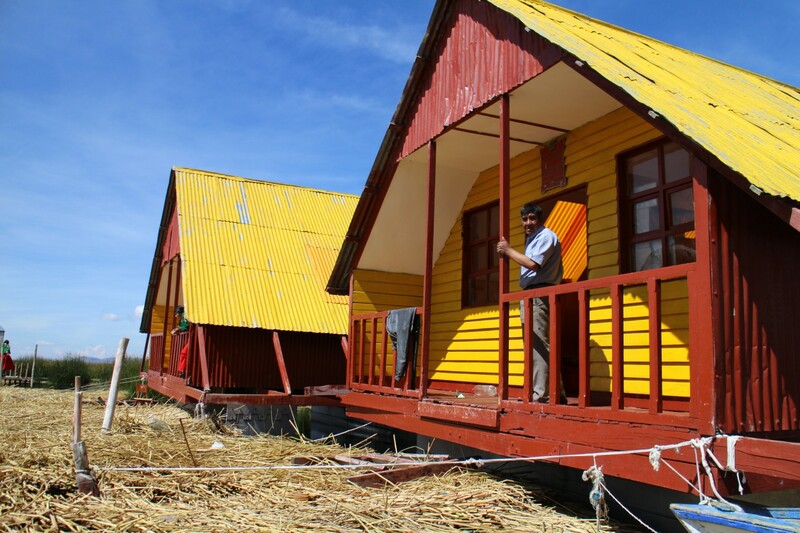 They power light bulbs and charge cell phones with solar panels, a gift from the Peruvian government. 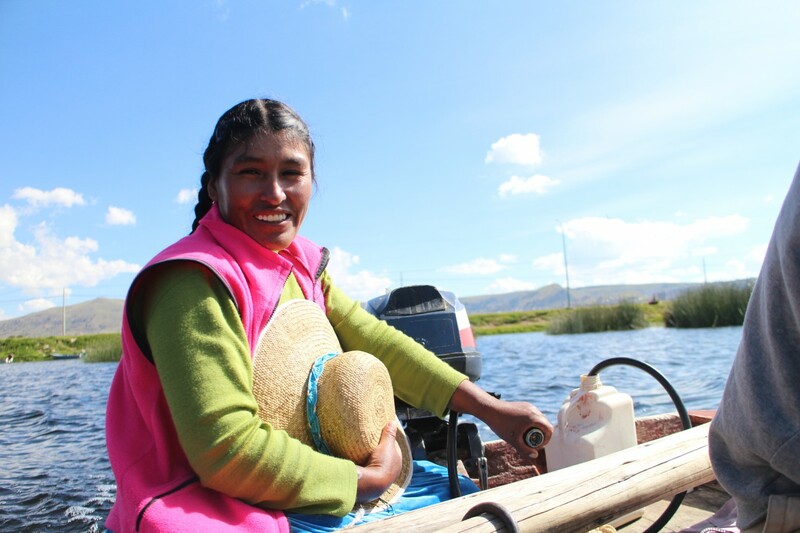 They propel their boats with motors purchased in town, and each year more Uros have access to filters to eliminate water pollutants like heavy metals, waste products and E. coli. 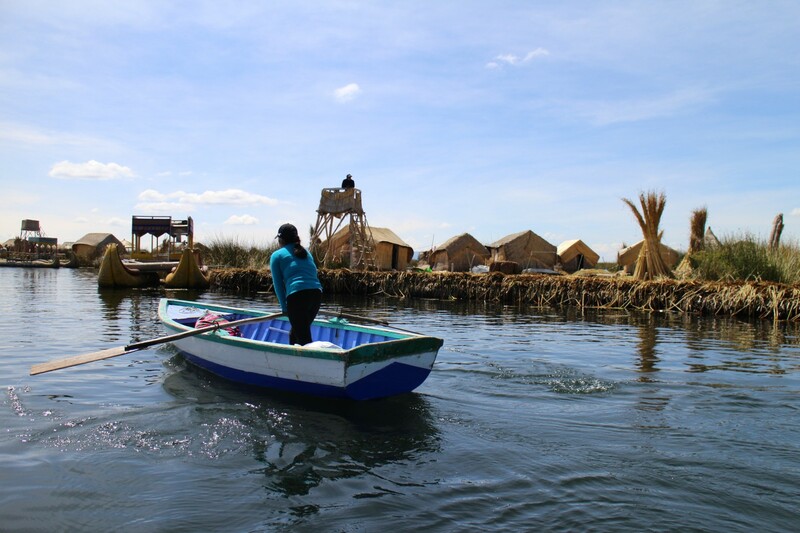 While they don’t shun technology, the Uros value their peaceful, traditional manner of life — free of the incessant car horns typical of Puno. 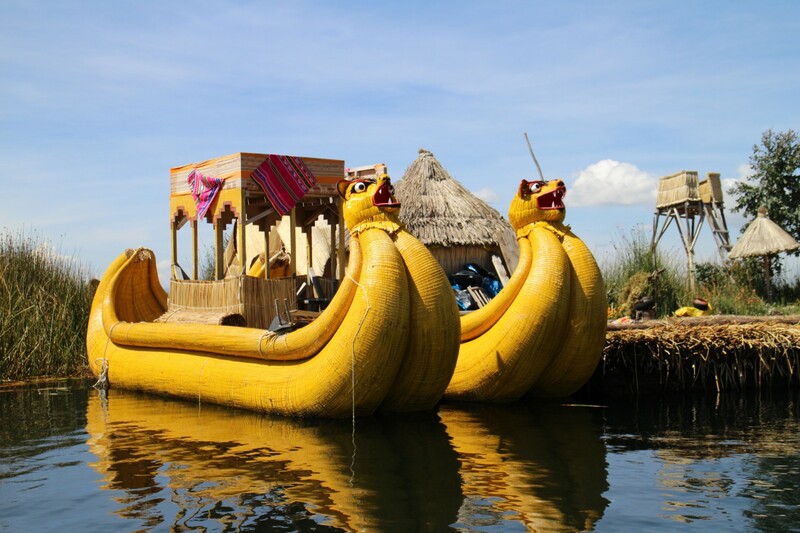 Uros parents feel totally comfortable allowing their children to venture across the lake alone because they intimately know the inhabitants of every island. 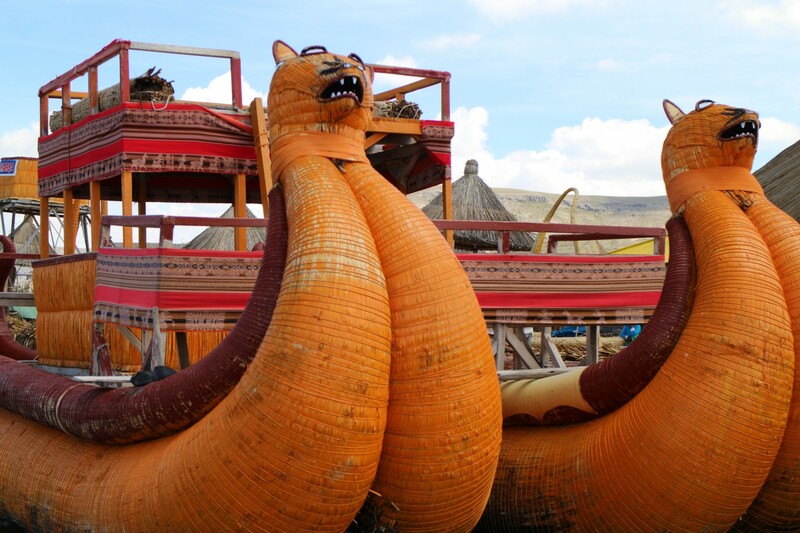 The Uros are firm believers in God. The majority are either members of the Catholic Church, The Church of Jesus Christ of Latter-day Saints or the Seventh-day Adventist Church. One of the two buoyant elementary schools is an Adventist school. While they’re busy throughout the day, they’re rarely in a hurry, making time less a daily obsession than a simple allotment of daylight and darkness. Valentino Flores Vargas puts in 120 hours during boat-building season to ready his floating transport, in addition to his other responsibilities. He loves his life on the islands, and says he wouldn’t trade it for anything else. Valentino Flores Vargas dedicates 3–4 hours a day for 30 days on every Totora boat he builds. There are 2,000 two-liter bottles inside the Totora-reed shell. 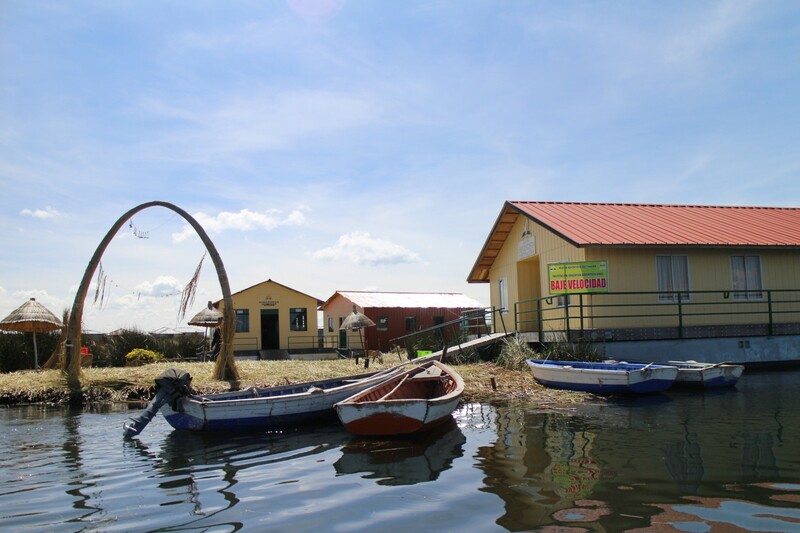 For many Uros, the islands’ tranquility outweighs the draw of modern conveniences available in Puno. “It’s been very fun to have our projects … helping them stay on the island and therefore preserving their culture,” Professor Lewis said. Dora’s husband, Nelson Coila Lujano — named after American singer-songwriter Willie Nelson — has a hard time suppressing his excitement this morning. A toothy grin spreads the length of his face as he hoists a blue flag adorned with a “Y” over the community island. It’s early May, which means Lewis and his cohort of engineering students will arrive soon. 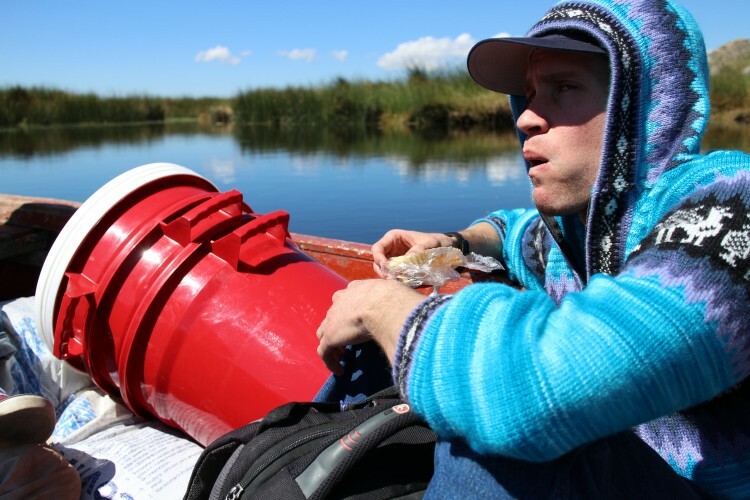 Nelson pulls on a striped vest, the only thing that adds color to his otherwise drab clothing, and sets off in a boat to pick up his old friend. On the shore, Nelson extends a hand to greet the students for the first time, but searches out Lewis for an embrace. They exchange a few words which are lost on one another until one of Lewis’ Spanish-speaking students steps in to translate. 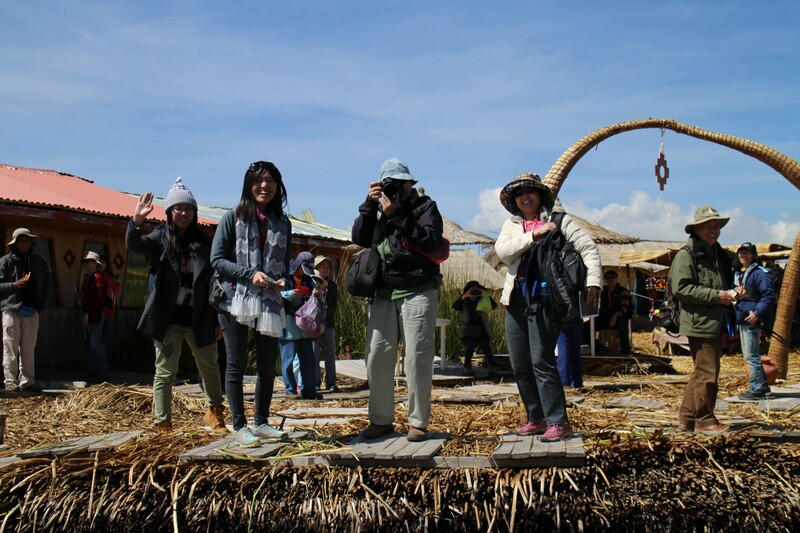 The 17 American students gawk in wonder as they arrive at the heart of the Uros settlement. But for residents, who daily entertain tourists from Canada, Belgium and Japan, the Americans are hardly a novelty. 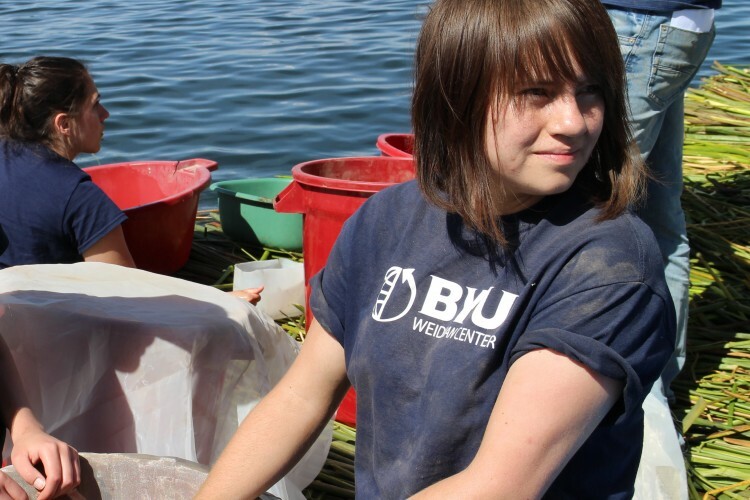 The students immediately begin unloading their cargo of plastic buckets, valves and the key ingredient for building filters: sand. Their first task is the most laborious. They’ll spend hours upon hours drying and sifting sand to organize it by grain size. 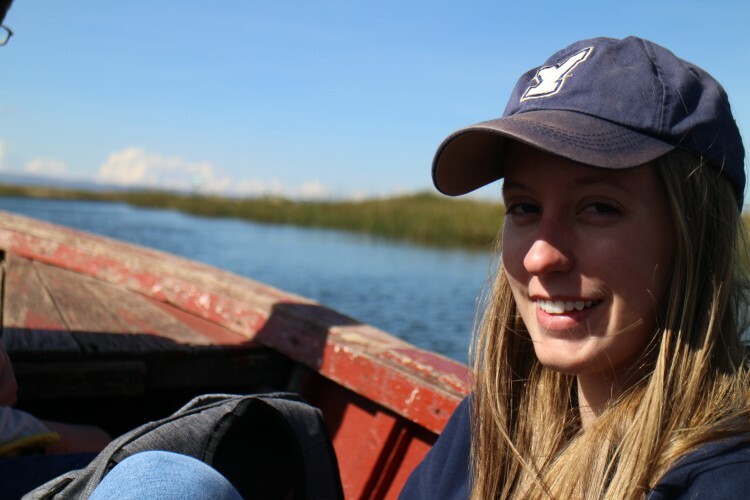 BYU mechanical engineering major Nicole Martin talks about the difficulties that arose in the Uros water filtration project. “It is the most critical part of the entire thing. 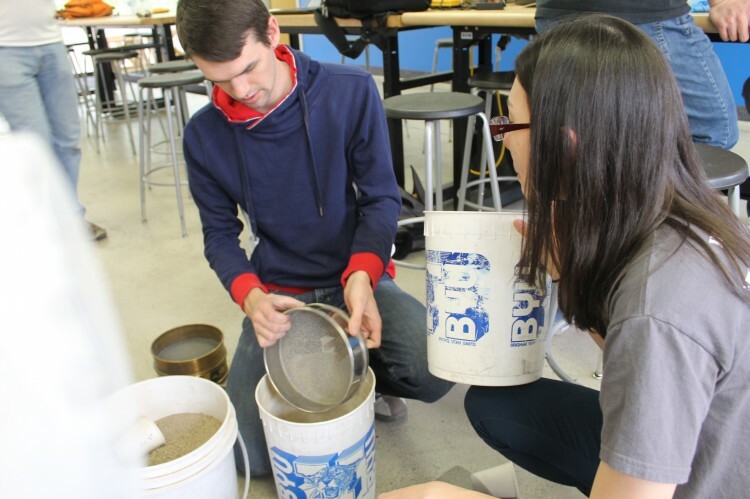 You can’t arbitrarily just put sand in there and hope that things are going to go well,” said mechanical engineering student Nicole Martin. The slender half-American, half-Chinese engineer spent months analyzing the correct sand grain sizes for filter optimization. 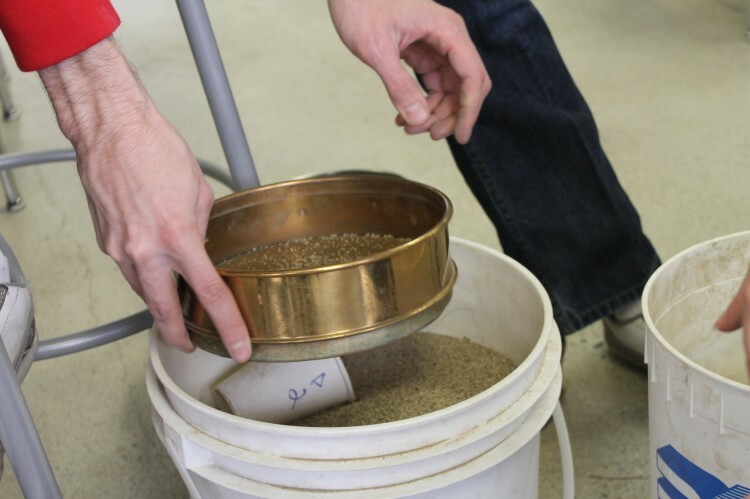 The filters are built by pouring different grains of sand, from the largest to the finest, into a bucket. Water enters through the bottom and rises through the different layers, emptying from a spout at the top completely safe to drink. 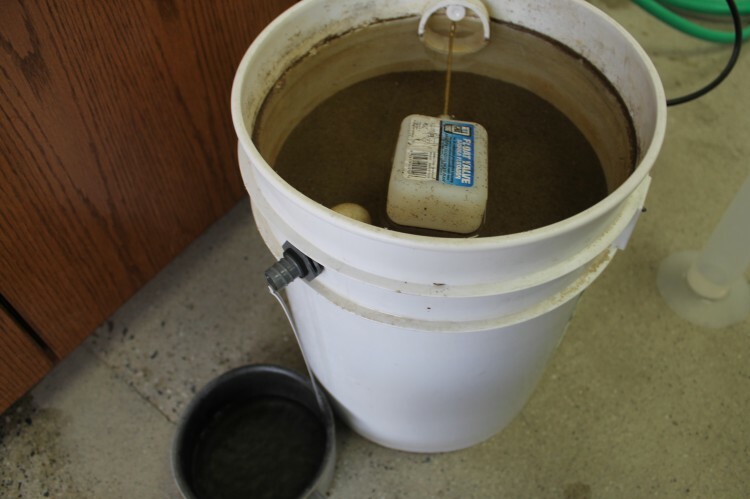 The devices essentially mimic the way groundwater naturally filters through solid earth. 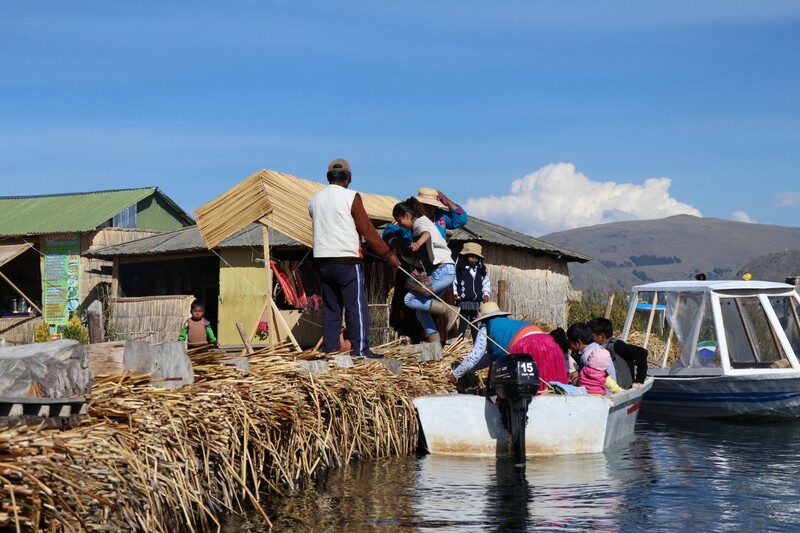 As the students begin spreading sand across brightly colored tarps to dry in the high-mountain sun, Uros from nearby islands hop in their boats and head toward the community island to assist. They turn off their motors just feet away from the island’s edge, allowing the momentum to crash their boats into the reeds before tethering the watercraft to shore. The municipal directors also notice the students’ arrival and assemble to discuss the latest university project. 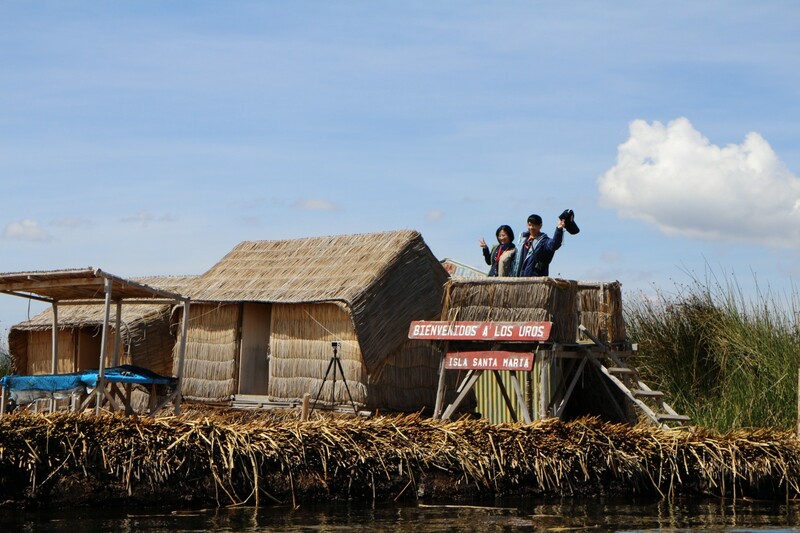 The Uros not only involve themselves with the students as soon as they arrive each May, but have an open channel of communication prior to their visit through emails and phone calls. 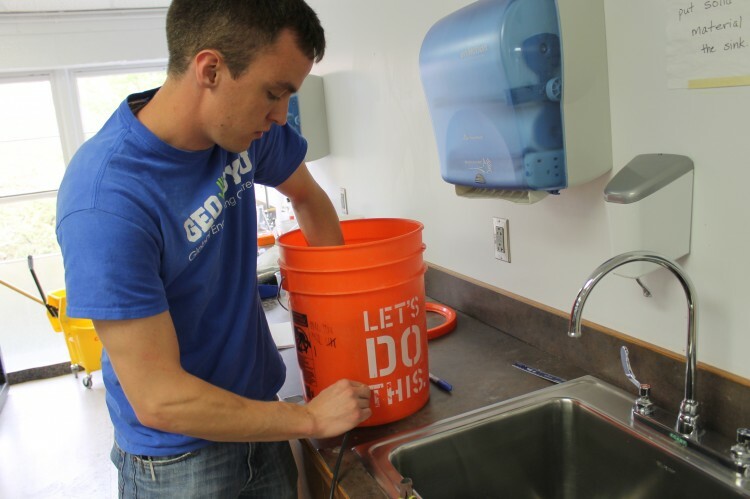 This crew of engineering students began work on their water filtration assignment eight months previously in Provo, Utah, when the two-semester “Global Engineering Outreach” class convened. 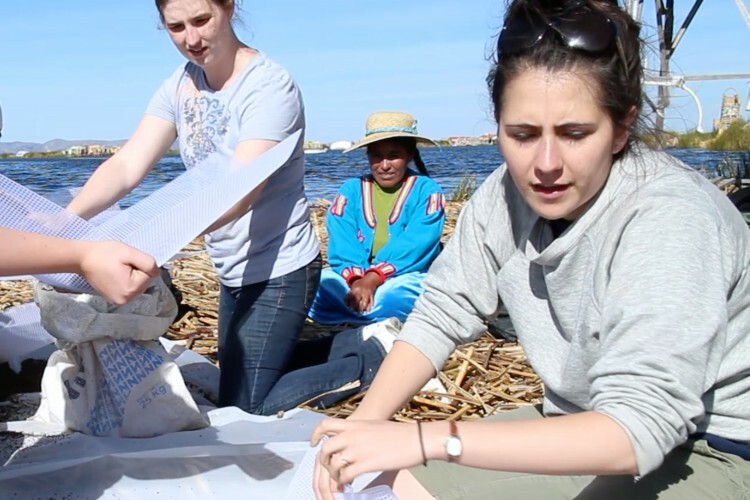 Half the class prepared projects for the people of Porcón, Peru, and the rest for the people of the Uros Islands, with Nelson as their point of contact. 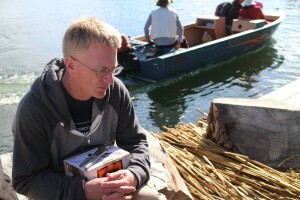 Lewis’ own relationship with the Uros began in 2009. Having previously organized humanitarian projects in Cuzco, just a short train ride away from Machu Picchu, his connections recommended he consider a project on the Uros Islands. 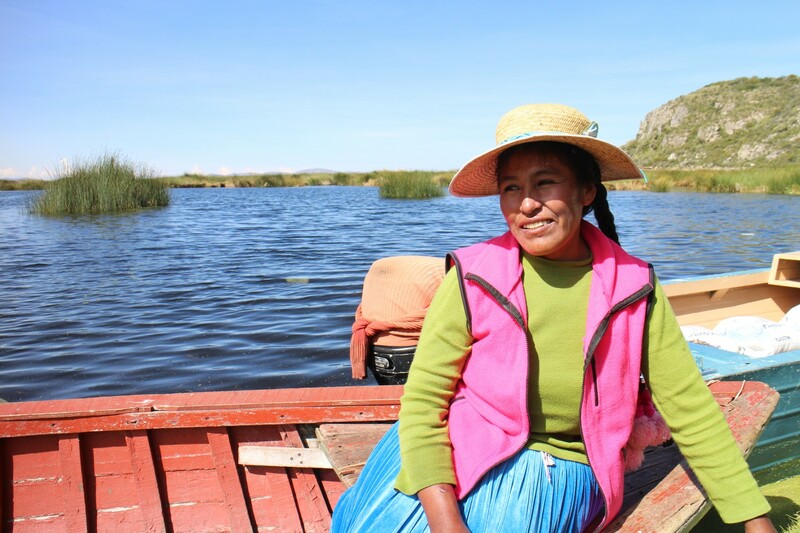 “When I go to the Uros Islands, Dora and Nelson are like family to me. They’re not just members of the community,” Lewis said. With 40 applicants to the program, Lewis hand picked each of the 17 students with diversity in background, language and gender in mind. Various engineering disciplines are represented among the five women and 12 men selected. He chose one civil-, four chemical-, and nine mechanical-engineering majors along with one construction management and two manufacturing engineering technology majors. “We want them to know how to work in a global environment; we want them to understand that engineers aren’t discipline-specific,” Lewis said. 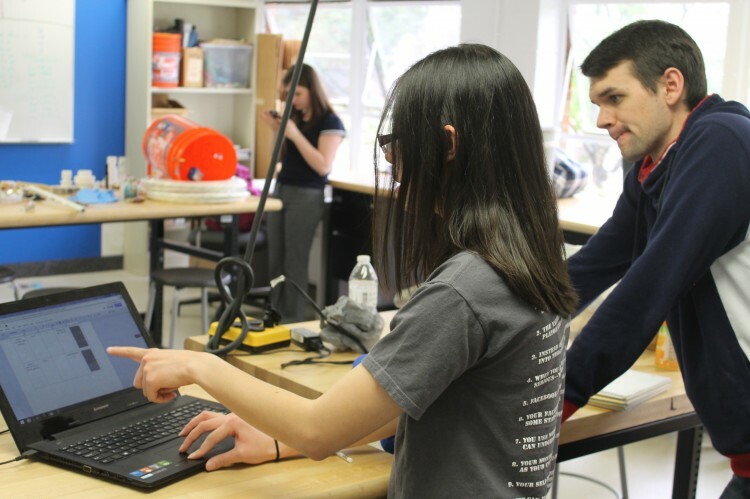 The students learn they can make contributions to projects that aren’t specific to their area of expertise. 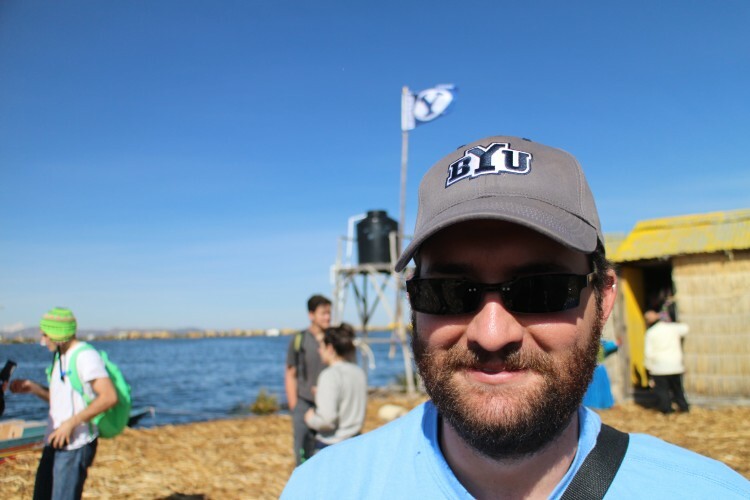 Lewis emphasizes a sociological approach to the students’ work, inviting BYU sociology professor Carol Ward to teach his class once each semester. 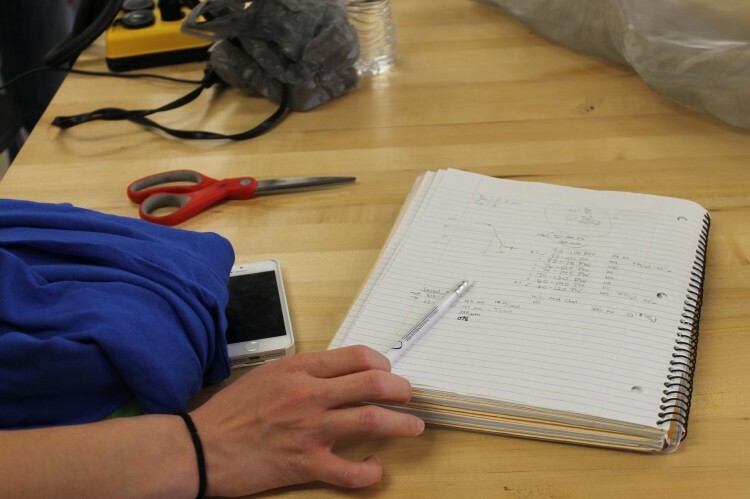 Because they are science and math-focused, engineers often overlook the importance of building personal relationships before jumping in to solve problems. 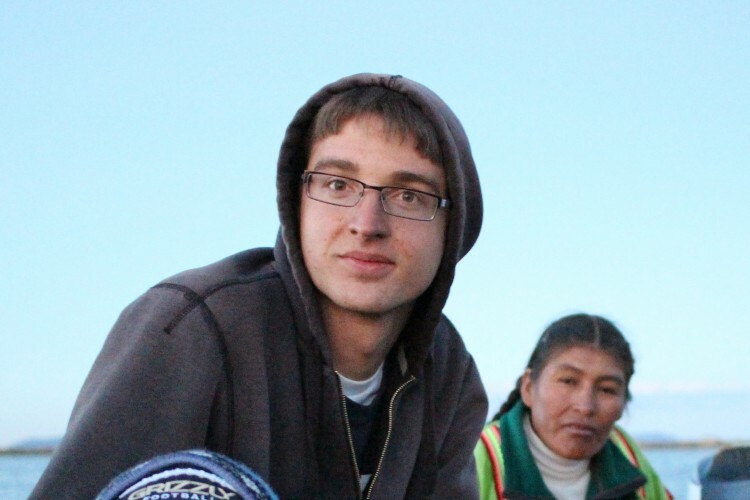 Lewis has learned that Peruvians, especially those from indigenous cultures, will verbally agree to most proposals. However once a relationship exists, they open up and are willing to be more critical. The engineering students go through a process of befriending residents, observing their lifestyles and discussing their needs before deciding on a project. They then work alongside the community on these specifically chosen projects. 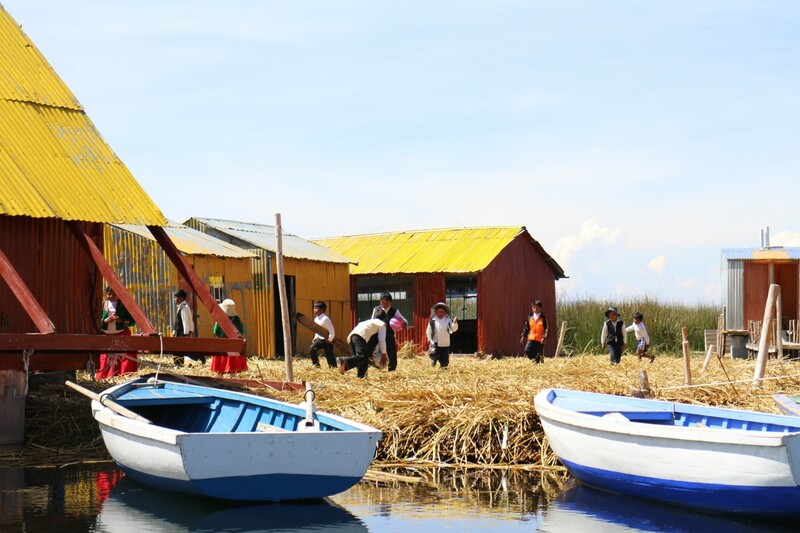 When the students return to Lake Titicaca the second day to continue where they left off, they’re surprised to find a fresh layer of green Totora reeds covering the community island. The island had hit the two week mark and Andres Gómer Jilapa — the “Maestro Totorero” — arrived early to replenish the supply of reeds. 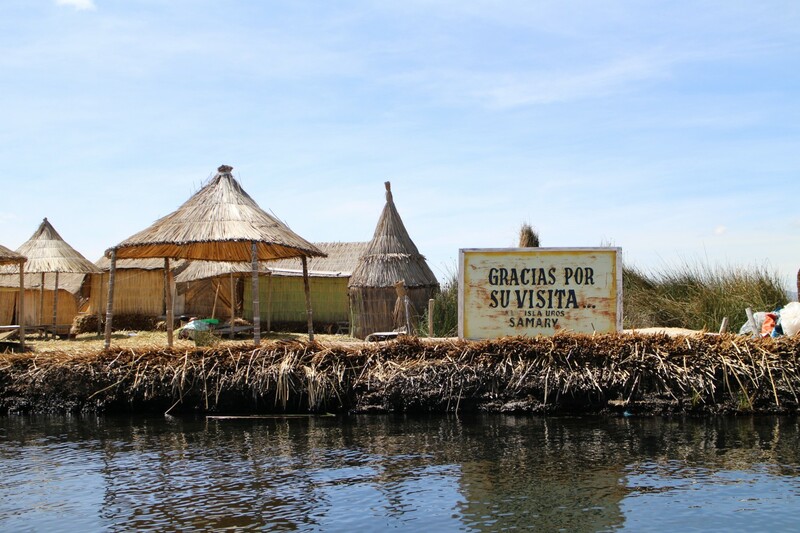 The Uros know if they don’t continue to replace the reeds on schedule, the islands will eventually sink. 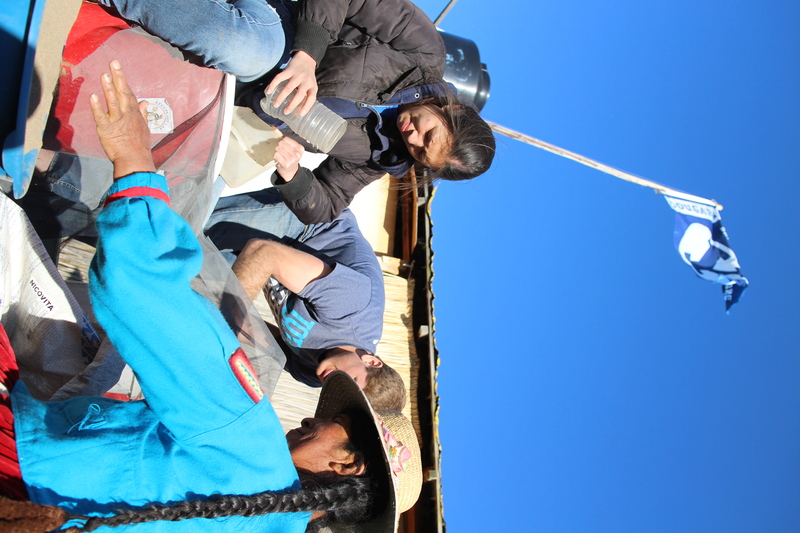 Students begin their second day, working side by side with the community in drying and sifting sand, while mechanical engineering student Adin Martineau pulls Nelson, Bernabé and Richard Lujano Jallahui aside to demonstrate the next steps. 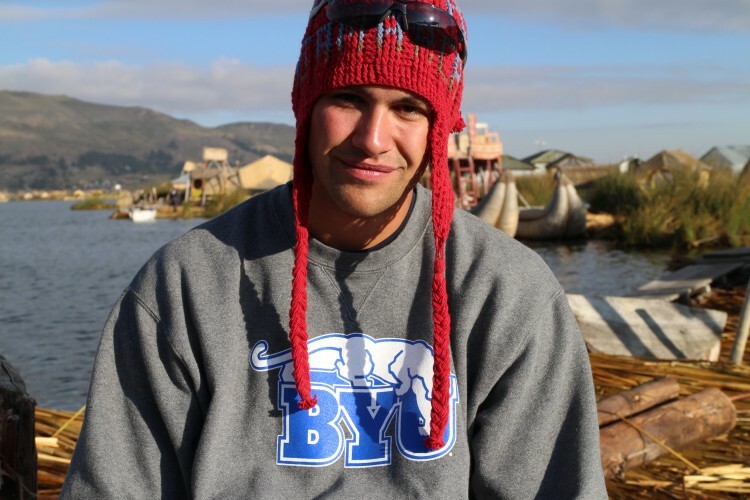 Martineau’s Argentine accent, “GEO BYU” T-shirt and Chinese straw hat set him apart from other student volunteers. 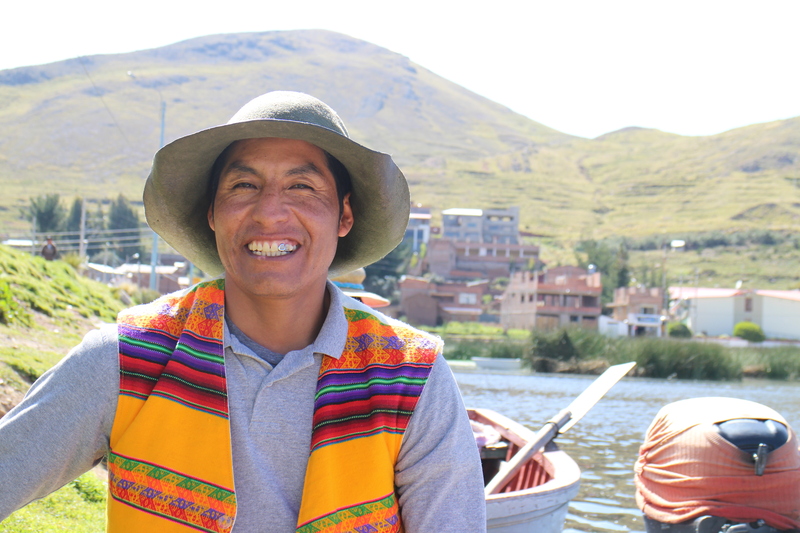 He’s taken note from the Uros, who never go outside during the day without a hat; the sun burns more intensely at an altitude of 12,500 feet. 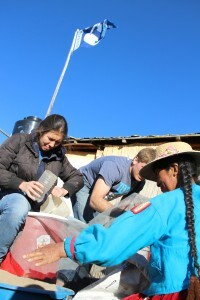 The Uros have come to value the water filters that students help construct so much that they’re willing to sacrifice part of their modest income to pay the full $25 cost of materials. Word spreads quickly around the tight-knit Uros community. Two women dressed as vibrantly as Dora, but with inverse color schemes, arrive with their small children, unabashedly requesting and willing to pay for the installation of filters on their own islands. Before Lewis and his students first began coming to the islands, Dora and her husband were better off than many families with their operation of a restaurant, refreshment store, artisan shop and inn. But what additional income they received, above and beyond routine living expenses, was spent on medical bills for their son, Emerson. Dora shares the story about her son's eventual recovery from waterborne parasites. Now, 9-year-old Emerson runs, plays and operates his own motorboat just like other Uros children. His aptitude for technology mirrors that of children elsewhere in the world. Given the chance, Emerson will snag a visitor’s phone and pull up Angry Birds or any other game he can find. “Our life is better now. Much better. We no longer have fear that our children will become infected with parasites,” Dora said. 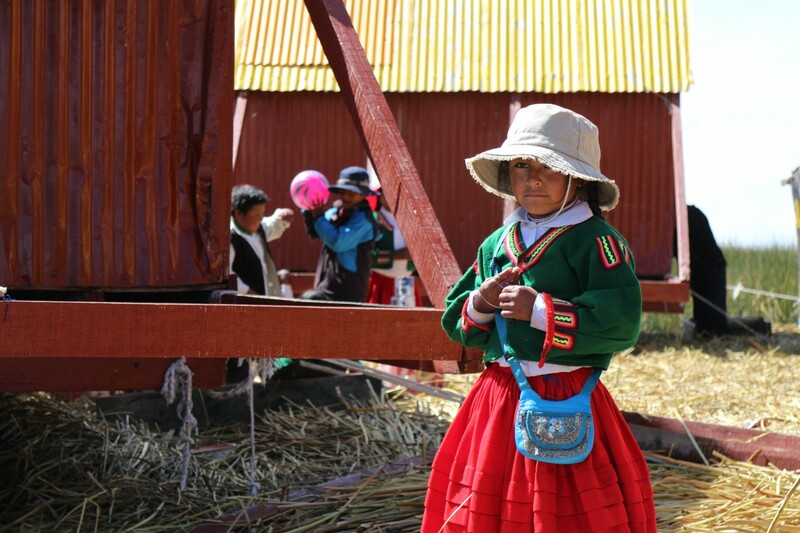 The students’ last day among the Uros arrives, and they scramble to tie up all the loose ends. One team repairs water pumps that have broken in the past year. Another team continues sifting sand, while others begin installing completed filters and reservoirs. 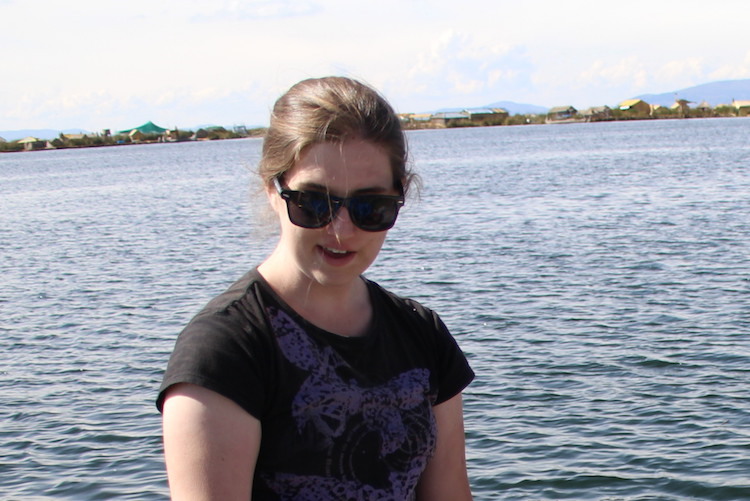 Nelson’s cousin, Elena Ticona Suaña, anxiously tests the reservoir added to her island’s filter. 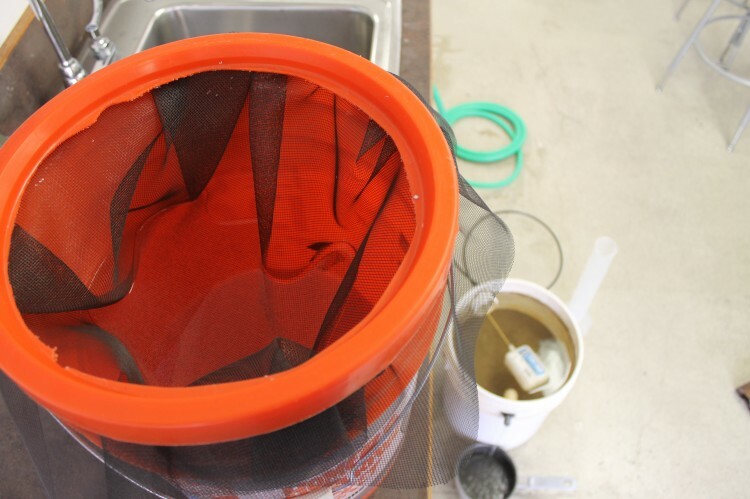 Whereas she previously had to pump water into the filter several times a day, she now only has to fill the reservoir once and can go on about her business. 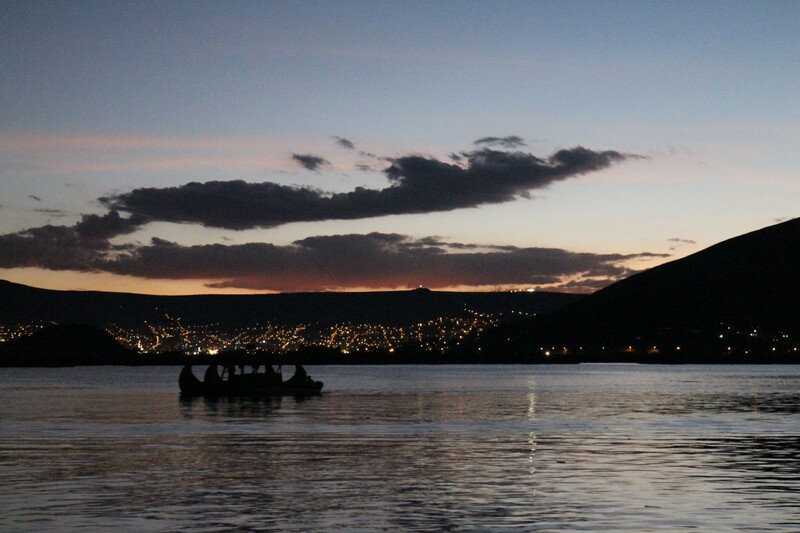 After another solid day’s work, it’s long after dark before the students return to their hotel in Puno, accompanied by Nelson’s family. There, Nelson and Dora distribute handmade gifts from their artisan shop to the students before saying their final goodbyes. They embrace each student, knowing they’ll likely never see them again. For Lewis, however, their farewell is only temporary. The training process for Lewis’ next group of humanitarian engineering students has already begun. Now in December, this year’s student cohort has already progressed to the point where last year’s group finished in April — thanks to the former group’s copious documentation of their work. 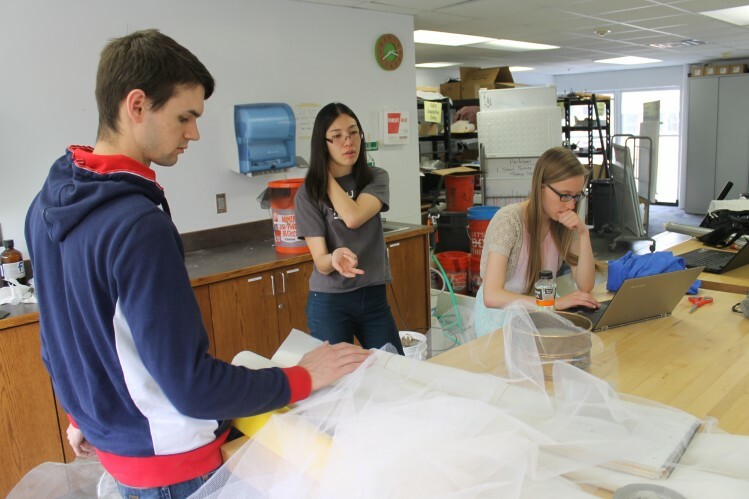 Students are currently looking for ways to cut down on filter construction times so they can build more of the devices during their visit to the islands. They’re also designing more durable pumps with replaceable parts so the Uros don’t have to wait an entire year for repairs. 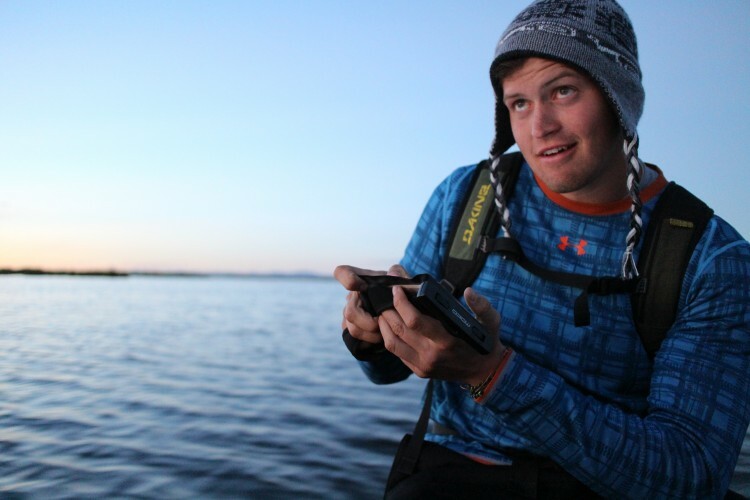 Donovan C Baltich is a graduating communications student at Brigham Young University. He was previously the campus, then metro editor at The Universe. 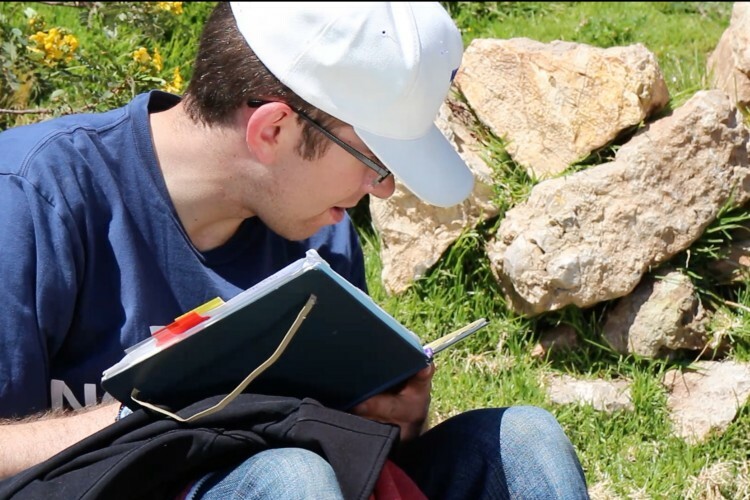 When he’s not putting pen to paper, he enjoys traveling and learning foreign languages. This is gr8 Donovan. Wow! I can really tell that you poured your heart and soul into this project. It is just absolutely fabulous. Great last project for your love of journalism.